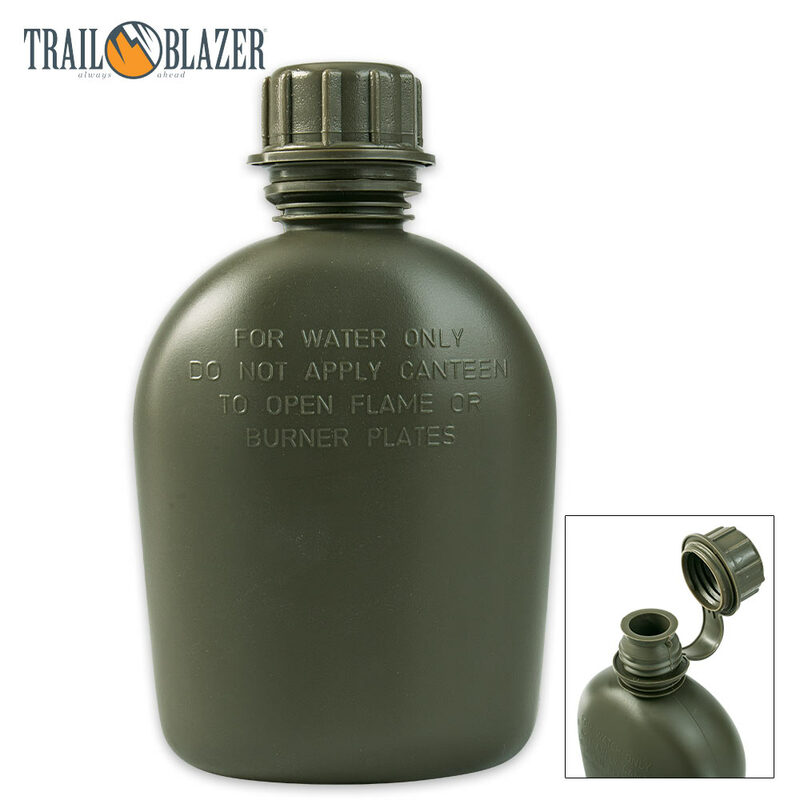 This classically designed canteen is built tough and rugged using heavy-duty plastic. Holds 1 Quart of water. Made in the USA. Great little Canteen for the money .Very happy with mine .Bought the aluminum cup too, fits snug. Very satisfied . Awesome canteen, meets all expectations and more, MADE IN THE USA. Would highly recommend purchasing the cover and cup with it. They all fit together great. Don't waste your money on expensive canteens. This is definitely the way to go. Best canteen for the money. This canteen is super tough. It is the same canteen as the one given to my dad in the Service. Sturdy. Cheap. Made in the USA. What else could you ask for. Get the cover and the cup too. They nest. Great canteen love it. This is a great canteen it does not leak and looks great. Sturdy bottle that is easy to fill, easy to drink from, keeps light out, doesn't use a seal, doesn't leak, easy to carry, and so forth.....what more can i ask?